Twenty percent of searches in Google’s mobile apps and on Android are voice searches and many of us talk to smart speakers and similar devices every day. Seventy-one percent of smartphone users in the 18-29 age group use mobile personal assistants. In 2017, there were an estimated 33 million voice-first devices in use. Search engine optimization for voice search is not radically different to traditional SEO best practices, but because of the nature of voice queries, outcomes are improved if site owners optimize for the questions users ask and provide information in a format that helps search engines to deliver answers to those questions. Which questions are your customers asking? Voice search queries often ask a direct or implied question, tend to be longer than text queries, rely more on long-tail keywords, and signal intent more clearly. 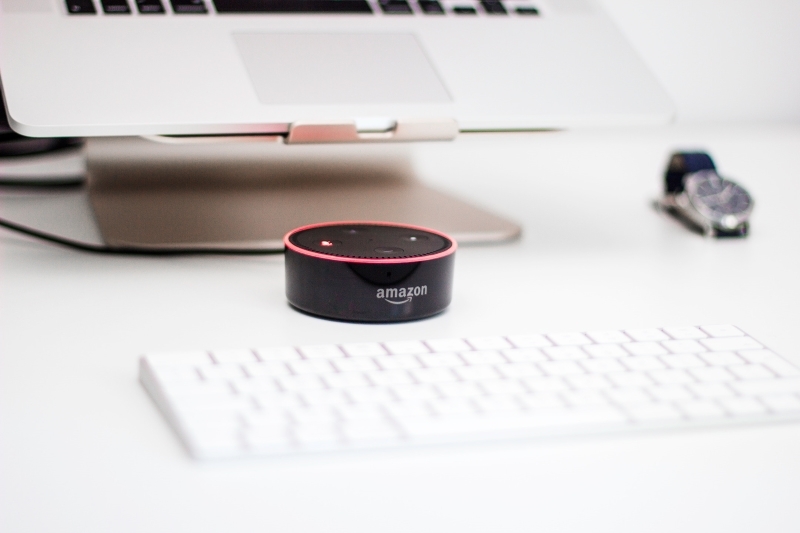 The first step in creating effective content for voice search is to figure out which questions your customers are asking and why they ask them. These questions might be based on your products, brand, customer support requirements, questions often asked to your sales representatives, and more. Question-and-answer sites like Quora and StackExchange are a useful resource, as is Google’s own “People also ask” box, which often appears in search engine results for conversational question queries. Don’t limit yourself to basic keyword research: long-tail key phrases are more likely to occur in voice searches because they are longer and more conversational. If your business already has an FAQ, that’s an excellent place to start. After identifying questions, create high-quality content that answers them, ensuring that relevant key phrases appear in headers and prominently within the article’s text. Don’t over-optimize or stuff key phrases in unnatural positions. Instead, shape content so that it is easier for search engines to identify relevant sections. Which results appear in voice search results? It already ranks well in desktop and mobile search. It includes short, concise answers to relevant questions. It is part of a featured snippet, which appear in over 40% of voice search results. Well-structured content with topic phrases in H1 and H2 tags. Keyword phrases and variants present in the text. Optimized title and meta description tags. Mobile friendliness and low-latency on the desktop and mobile. Voice search optimization is not effective in isolation from general search engine optimization best practices. The featured snippet box is important to voice search optimization. When a user asks Google a question, the featured snippet is often prominently displayed in the search results, often, although not always, at the top (position zero). When the response is delivered by voice via Google Home or as a direct answer to a question, much of the information comes from the content contained in the featured snippet. The content in featured snippet boxes is almost always drawn from the top-ten results, although not necessarily the top result. Featured snippets are intended to provide a concise and informative response to a search query. To be in with a chance of getting into the featured snippet box, part of a page’s content should be formatted so that it provides an encapsulated “nugget” of topic-relevant information. Lists are worth focusing on because they provide a good illustration of how to optimize for featured snippets. Most list-type featured snippets use the H2 headers of a “listicle” that also includes in-depth information for each of the list’s items. This structure of headers followed by details, both containing information relevant to a question, makes it easier for Google to deliver an acceptable answer to a voice search query. 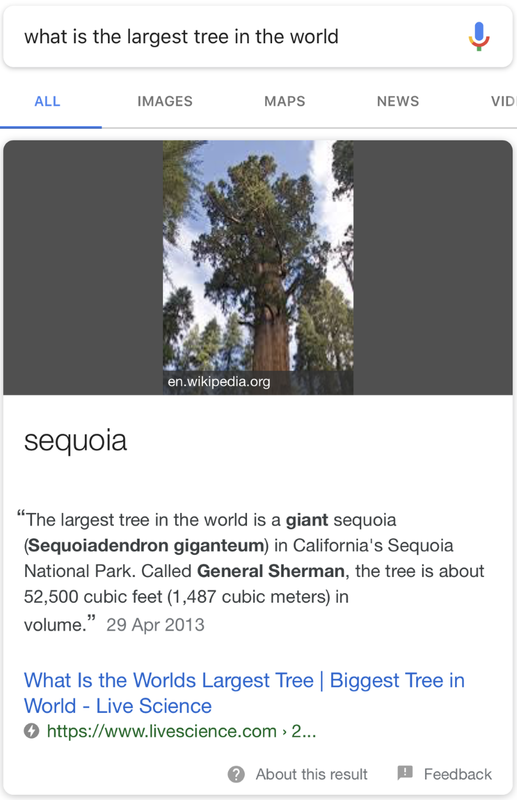 This voice search for the question “what is the largest tree in the world?” is an excellent example of a paragraph-type snippet. The article linked to in the snippet contains a variation of the question in its H1 header. The first paragraph is a concise encapsulated answer to the question that references the topic before supplying an answer. 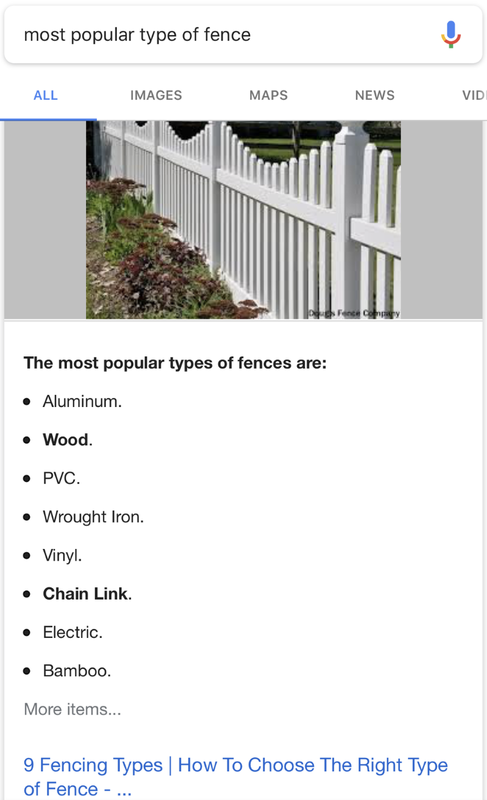 Google often draws from content that is not at the top of the article — content under H2 headers often appears in featured snippets — but the basic pattern is the same: mention of the key phrases in the header and in the topic position (early in the first sentence). A high proportion of voice searches are related to a location. For your site to be included in results with a local intent, Google needs to know where your business is located. Ensure that its Google My Business listing is correct and complete. Include location-specific data such as the address and telephone number on their website. 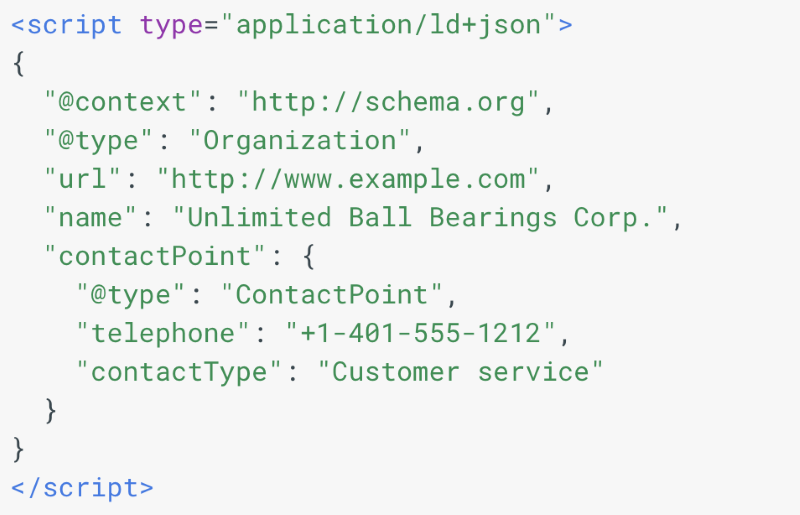 Use structured markup with location data — more on this in a moment. This information, combined with positive SEO signals such as mobile friendliness and solid performance increases the likelihood that a business will be returned in a prominent position for location-specific voice queries. Structured data uses a standardized vocabulary that conveys the meaning and purpose of content to search engines. Structured markup makes it easier for Google to pick out relevant information and relate it to the query. For instance, marking up address data makes it easy for Google to see that a particular chunk of content is an address and how lines of text map onto a traditional postal address. Content such as recipes, reviews, articles, and videos can be similarly marked up. I have focused on optimizing search for Google in this article, but it is unwise to ignore voice search optimization for other search engines. Apple’s Siri and voice search throughout Google’s platforms use Google search results, but Amazon’s Alexa and Microsoft’s Cortana use results from Microsoft Bing. Voice search optimization is the tip of the iceberg: get the fundamentals of content optimization, mobile friendliness, and local SEO right first. They have a greater effect on the likelihood of a business’s pages appearing in voice search results than any voice-specific optimizations. That said, structuring content meaningfully and providing concise, easily excerpted summaries will help Google to identify relevant content for voice interface responses and featured snippets. Thanks for a great article. As a website consultant, I often wonder about the future of websites and even if there will be an internet search / results process as we know it today. I have a feeling that we will be interfacing more with voice and even VR and AR. Webpages as we know it will end up going to the wayside I’m pretty sure. Sooner than later too. Anyway – thanks again Graeme – good read. Most important is that the differences between spoken and typed queries may cause different SERP results. Which in turn means that your competitors’ voice search optimized websites have better chances of engaging your potential customers or subscribers.